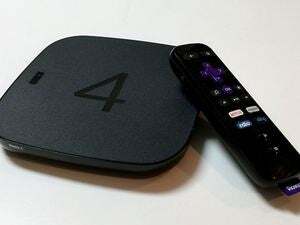 Portable streamer is powered by a quad-core processor, but resolution is limited to 1080p. 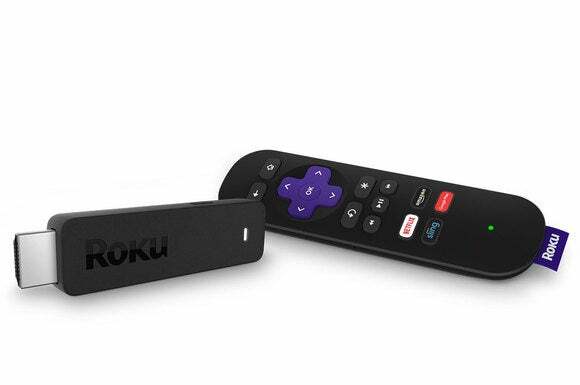 One of the best features of Roku’s high-end streaming boxes—private listening by way of plugging headphones into the remote control—is coming to Roku’s least-expensive streamer: the new Roku Streaming Stick ($50), which is now available for pre-order. But you’ll need to provide your own headphones, and you’ll plug them not into the included remote but into your smartphone or tablet running the Roku Mobile App (available for Android and iOS). 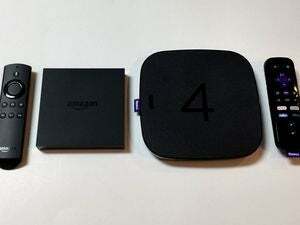 It’s been a little more than two years since Roku shipped its well-received second-generation Streaming Stick, and this new model benefits from a number of upgrades, including a new quad-core processor that Roku says is eight times more powerful than the old one. But Roku’s engineers couldn’t pack enough processing power inside the new Roku Streaming Stick to support 4K video: Its resolution will top out at 1080p, like the Roku 3; you’ll need to step up to Roku’s top-shelf Roku 4 if 4K is a must-have feature. The Streaming Stick’s diminutive size will render it at least as portable as the previous model. “The ability to take the streaming experience on the road is a key purchase consideration for Stick customers,” Roku SVP Sharad Sundaresan said in an embargoed briefing last week. “Many people also move the stick from one TV to another inside the home.” As with previous Streaming Sticks, this one can be powered either by one of the TV’s USB ports or with the AC adapter that comes in the box (for use with older TVs that lack USB ports or have USB ports that don’t deliver adequate power). The Roku Streaming Stick plugs into your TV’s HDMI port, drawing power from its USB port or from the included AC adapter. Sundaresan also said the new stick has an improved dual-band 802.11n Wi-Fi adapter, and that engineers had improved the antenna placement to increase the Stick’s wireless range. As with the previous Streaming Stick, Roku includes an RF remote control, but this one doesn’t include an integrated microphone for voice searches or, as I said earlier, a headphone jack for private listening. But Roku’s mobile app can tap into that hardware on your smartphone or tablet, and it also supports Bluetooth headphones. This feature is exclusive to the new Roku Streaming Stick; it will not be available to Roku’s other hardware. 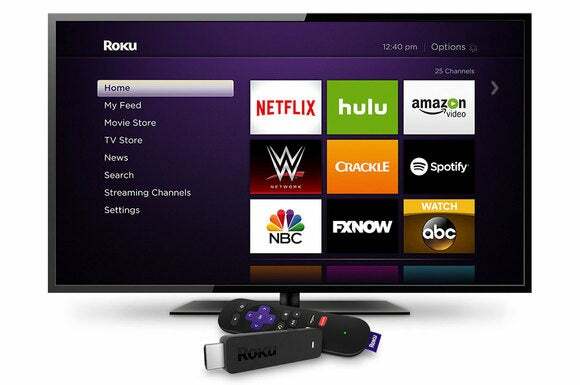 The Roku Streaming Stick will come with Roku’s newest operating system, Roku OS 7.1, which features an improved version of Roku Feed, a content search and discovery tool the company introduced in May 2015. Back then, the tool allowed you to track when new movies become available for streaming. Last fall, Roku added the ability to track actors. With today’s release, you’ll be able to view “popular” TV shows and movies, with popularity determined by how many people are searching for that content. With the addition of MTV and Google Play in this release, Sundaresan said Roku now has more than 30 search partners. “We present unbiased search results, sorted by price,” Sundaresan said. “Channels the user subscribes to are listed first, but we randomize the results if [rental or purchase] prices are the same from more than one service.” Roku OS 7.1 will be rolled out to all Roku streamers over the remainder of this month. Roku TVs will be updated shortly after. Sundaresan said the new Roku Streaming Stick will be available for purchase later this month, and that the existing model will be discontinued. We’ll have a complete hands-on review as soon as we can get a review unit.